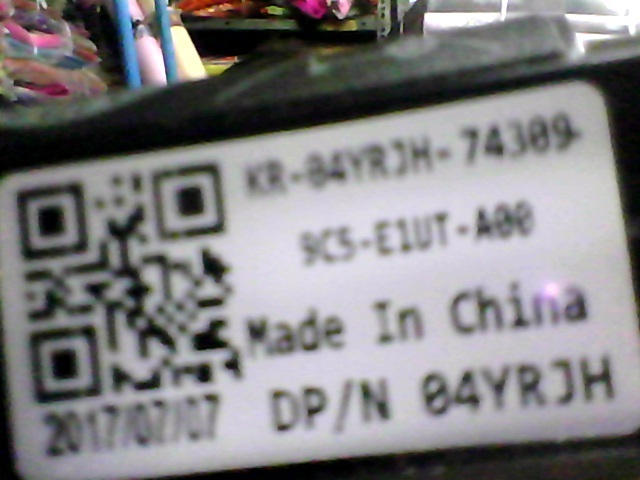 I Purchased a Dell N5050 J1KND Battery . I needed to verify that is that battery Genuine Dell Inc. manufactured? RE: I Purchased a Dell N5050 J1KND Battery . I needed to verify that is that battery Genuine Dell Inc. manufactured? The only way to verify if a battery is Genuine Dell Manufactured would be to purchase it directly from Dell or an authorized Dell reseller. Dell has a rigorous qualification process by which all Dell batteries are validated to ensure proper function, performance and safety. Some non-Dell batteries are available in the market with claims of compatibility with Dell systems. Dell cannot verify these claims, nor the safety of using them in a Dell system. Dell strongly encourages our customers to use only Dell laptop batteries advertised as appropriate for their laptop model. Only Dell laptop batteries come with a 1-year warranty, are engineered for optimal safety and performance for Dell systems, and are supported by Dell technical support for the length of the warranty period. This is to inform you that the Battery, I needed to purchase, was no longer sold by the Dell Official website, and not even by Its Official partner sellers. So I had to Purchase a Dell Genuine Battery which was sold by Third party(Not Manufactured by third party). But I feel that The battery I received is a Replica posted with copied Dell stickers. Therefore I needed to verify Its a genuine one or not. It's not Just the warranty, Its about the Quality I receive, About My Laptop's life and safety, and My trust I have on the seller while making purchases. So please help me to verify ASAP so that I can return It if it's not the genuine one within 7 days of delivery. I shall be highly grateful to you. It looks like this is a "refurbished" battery pack -- someone took an old Dell battery logic board and installed new cells. It's not a genuine Dell OEM battery (the date code is the tipoff -- it was made in 2009).